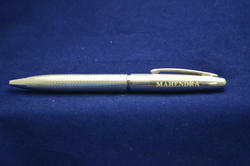 We manufacture writing instrument in 999 Silver i.e. Pure Silver. Contemporary to the old products available in the market in the form of 925 Silver i.e. Sterling Silver, our innovation has helped us create this pen in 999 Silver. Being regarded as the renowned manufacturer and supplier f the silver gift items, we bring forth arrange of premium quality Silver Ganesha Gift Craftsvilla. The products are sourced from the genuine and trusted suppliers. Our products are highly appreciated for their durability and modern designs. Peacock design Silver Plated Platter with Spoon in a Velvet Gift Box. A perfect product for Corporate Gifting. 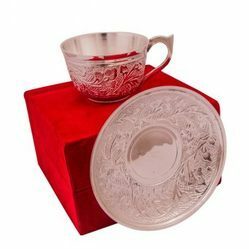 We are leading Manufacture supplier exporter of Silver Gifts and offer this product as per client requirments and this product made by our expert with the Great quality and i am looking For bulk order . 1 - Silver Tray - 3 Bowls. 2 - Material : Brass. 3 - Finishing : Silver Polish. 4 - Available Size : 5"x14".